"At the end of the day, we all bleed the same"
"Women of Color are Vital to Detroit’s Revitalization"
"What we do offer is hope"
"My dream for African immigrants is for them to be visible"
"I do the work I do to try to make sure they don’t get left behind"
"We can only strengthen Detroit if we’re working together"
"I don’t want this for my daughter"
"It literally takes a village to help our young people thrive"
"People deserve to have healthy food in Detroit"
"If I’m not here, who is going to say something I might say?" "I’m going to keep doing my best to help make sure people are treated equitably"
"We’re cultivating residents to become the advocates and the leaders"
"If water was seen as a respected and revered resource, everyone could benefit"
"Wealth without community is no wealth"
"If you’re building downtown, why not rebuild in the neighborhoods?" 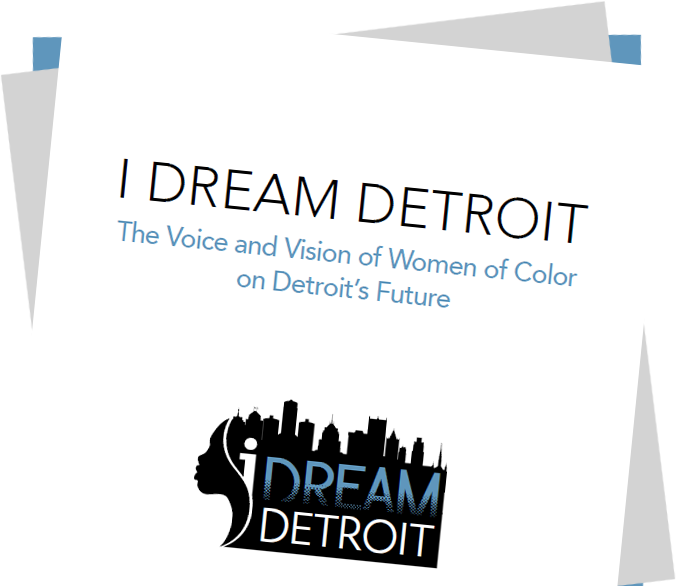 As Detroit’s resurgence continues to garner local, regional and national attention, a new groundbreaking report and project seek to amplify the voices of those most absent from the public discourse on the city’s future – women of color.